Ask anyone who lives in Johns Creek and chances are you’ll get a similar response. There is “just something” about the community. And USA Today agrees. The community ranked third on the 2017 list of the best places to live in the country. And for good reason. It’s a place that has something special. Something unique. Something for everyone. All packaged up in a quaint, lovable community. The 1, 2, and 3 bedroom apartments at The Regency at Johns Creek Walk boast impressive finishes with plenty of room to make yourself at home. But the experience extends well beyond the breathtaking homes. What makes it so? 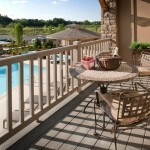 The Regency at Johns Creek Walk is a place where you can fall in love with Johns Creek in a luxurious way. 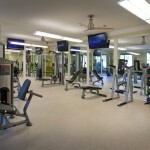 Our residents enjoy the variety of local retail shops and restaurants in and around the area. And several beautifully decorated common areas throughout the apartment community offer plenty of space for relaxing before heading outside to enjoy the sparkling, resort-style pool area. 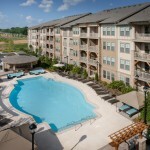 At The Regency at Johns Creek Walk, we provide all the comforts of home. But we also know – and embrace – the value of community. Building on the firm foundation laid in place by Johns Creek itself, The Regency at Johns Creek Walk offers its residents more than a place called home. It offers them a community.